INCEPTIO plunges you into a 21st century Roman world. Apart from kidnapping, heartache and a close encounter with Latin grammar, New Yorker Karen Brown must contend with a fascinating Praetorian elite forces officer. Oh, and a crazy killer pursuing her for a very personal reason. Karen flees to her dead mother’s homeland, Roma Nova, the last remnant of the Roman Empire. Founded sixteen hundred years ago by Roman exiles and now ruled by women, it gives Karen safety and a ready-made family – but at a price. In this adventure thriller set in an alternative timeline, Karen grows from a girl anybody might know into a strong female character not only intent on staying alive but also on finding out why the killer is hunting her. A coming of age story, where an ordinary girl discovers there is a great deal more lying under her mundane existence, but also lethal danger. At what stage does she stop running from it? I need to say from the start that I may not have been in the right frame of mind to read what, to me, is a book with a complex and fantastical plot. 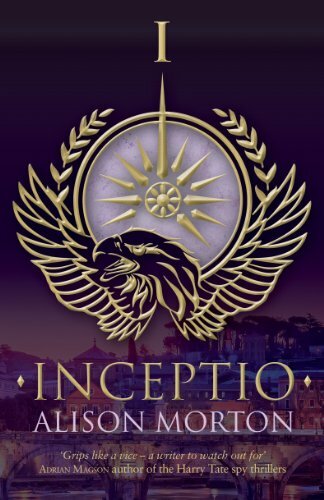 I wanted to like INCEPTIO; I started off really enjoying the book but as I read on I found the plot erratic; sometimes dragging, sometimes rushing by. So I struggled to be totally engaged with the story. Told mainly from the point of view of Karen Brown, a modern New York resident, it is to the author’s credit that the protagonist is quickly built into a rounded character and it is easy to empathise with her in the rapid change in her circumstances. But, as the story progresses it becomes quite obvious that Karen, soon renamed Carina Mitela as the most important resident of Roma Nova, wasn’t going to be beaten by any antagonist nor fail in any of the tasks she was given to complete. I felt there were too many (and sometimes what I thought were ‘tongue in cheek’ ) attacks on the protagonist, designed to persuade her to sign away her inheritance of vast amounts of money and, more importantly, a very successful business before her twenty-fifth birthday. I did like the way the author built up some of the other characters: Karen/ Carina’s grandmother, Nona/Aurelia, the attractive, soon to be lover, Conrad. (I would have liked more time spent on the building of the relationships between the protagonist and these two characters – (I am always more won over by character-driven tales ). And I also enjoyed characters such as Lurio, Apollodorus, Aelia. Even the antagonist, Renschman (told from a third person point of view, so we were a little distanced from him but could still see, if not empathise, his mindset – he has personal reasons for hating Karen) had his moments of depth and true evil for me. Of necessity there needed to be a lot of characters to populate this alternative country. But I did find myself shuffling back and forth sometimes to find out who fitted where. Must admit though, I did like the idea of a country where the women ruled and called the shots!! There is a lot of dense detail and some quite long descriptions of the fictitious state of Roma Nova These build up a good sense of place of this civilisation that exists as a left over land of the long ago Roman Empire. Interesting- but I found they slowed the plot for me and I have to admit I did skip over some of them. And I found some of the narration, in parts, also dragged a little. Loved the cover, by the way. I see this is a theme throughout the Roma Nova Thriller series. Would I recommend? Well, yes to readers who enjoy alternative historical fiction with lots of action and lots of description. 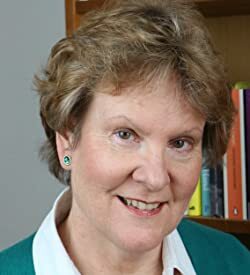 This entry was posted in #Blogging, #RBRT, authors, blogging, Book Reviews, Books, crime, historical fiction and tagged Alison Morton, books, INCEPTIO BY ALISON MORTON, novel, Reviews, ROMA NOVA SERIES OF BOOKS, suspense, writing by Judith Barrow. Bookmark the permalink.